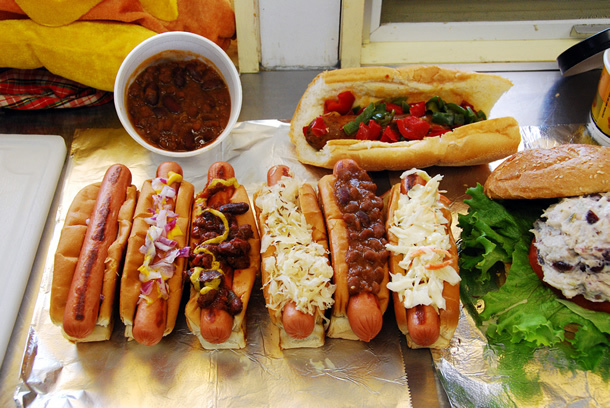 Hot dogs — grilled or steamed — with a variety of toppings, pulled pork, chicken salad, chili, soup, sausaage with onions and peppers, and more! 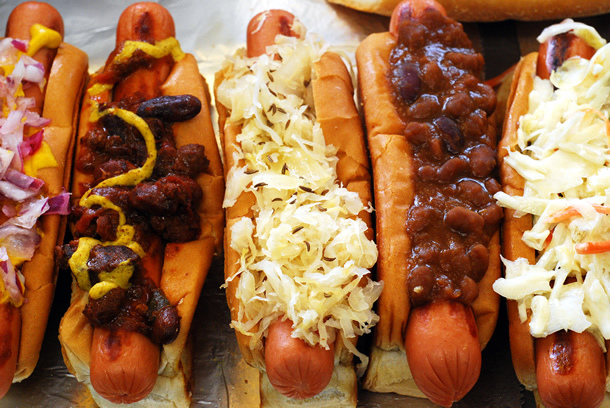 Ed's hot dogs come grilled or steamed, on a grilled, New England-style bun. 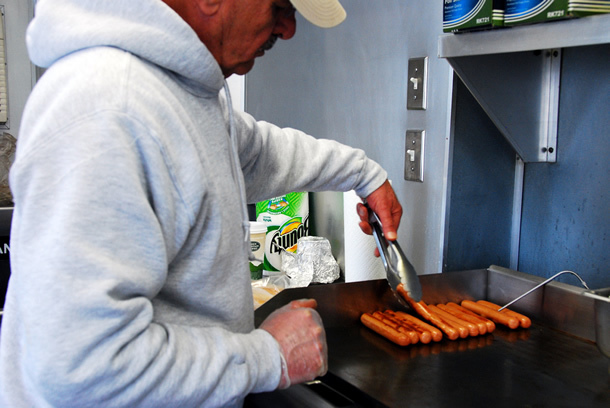 Ed is busy at the grill, making certain your hot dog is perfectly prepared. How many ways can you top a dog? Mustard, catsup, red pepper relish, chili, sauerkraut with caraway seeds, red onion, beans, horseradish — get it just the way you like it at Ed's! 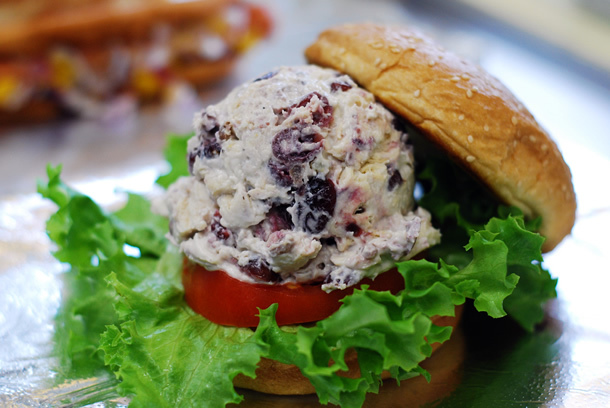 chunks of chicken breast with cranberries and walnuts. 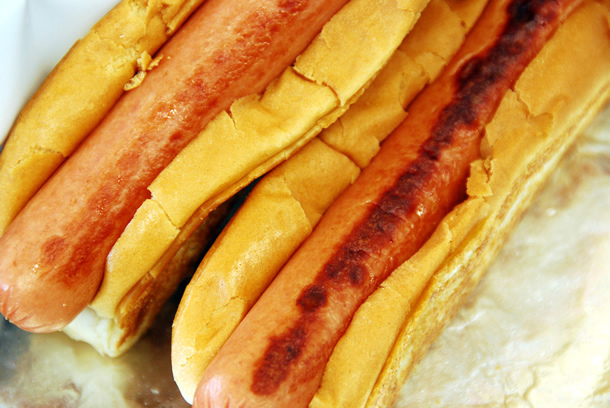 Two hot dogs, chips, and a drink — you'll be filled, and at $6, your wallet will remain filled too! 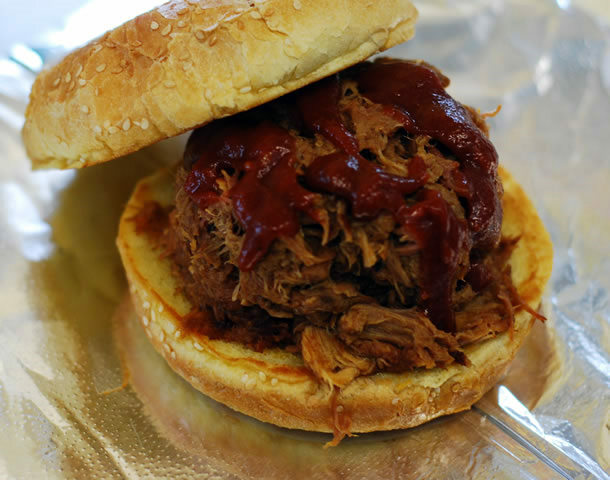 Pulled pork on a grilled bun with barbeque sauce! 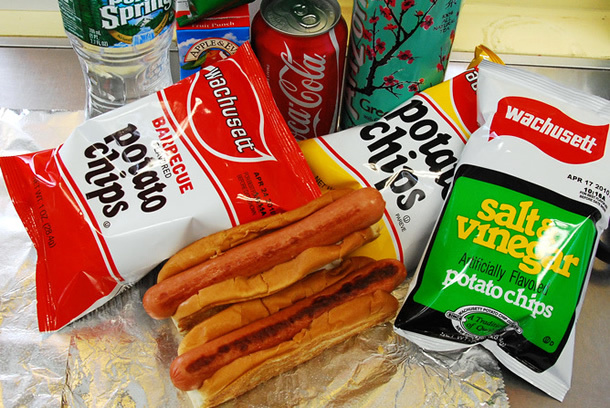 Ed's Weenies is located at Gary's Farmstand in Littleton, Massachusetts (600 Great Road - map).